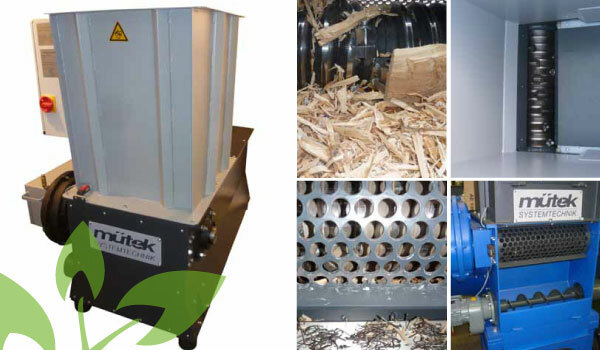 mütek Systemtechnik is the specialist for the supply of individual machines and complete solutions for the disposal of wood, chips, wood chips and dusts. 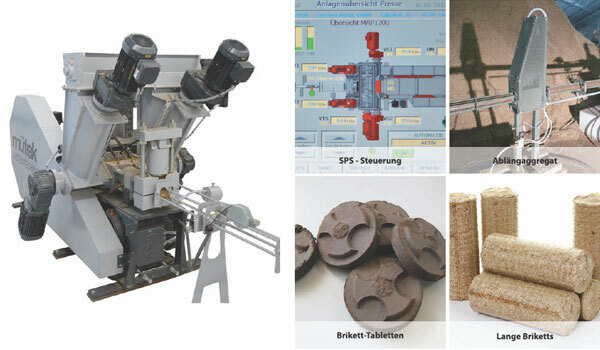 Since 1993, mütek Systemtechnik has been dealing with the use and recycling of residual wood and production residues, such as wood shavings, sawdust, grinding dust, chipboard, pallets, fruit crates and similar materials. Traditionally we support woodworking and processing companies such as carpentries, window builders and sawmills to recycle their valuable wood residues, to use it efficiently and to convert it into energy. Wood waste is used to produce heating energy for the company's own operation or for saleable wood briquettes and wood chips. 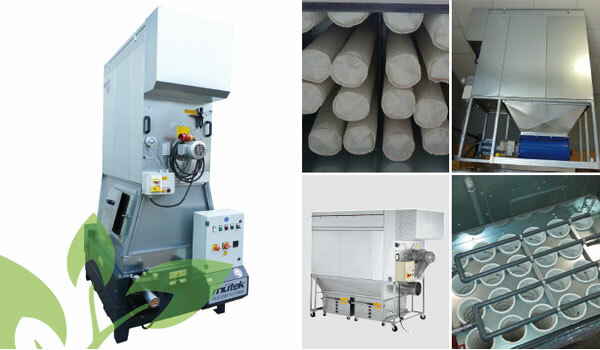 mütek provides valuable information and experience in the field of energetic use of wood residues, designs machine technology, supplies and assembles the entire plant. Through the use of our own production residues, mütek Systemtechnik's customers have a high level of supply security and price stability for your fuel from wood. 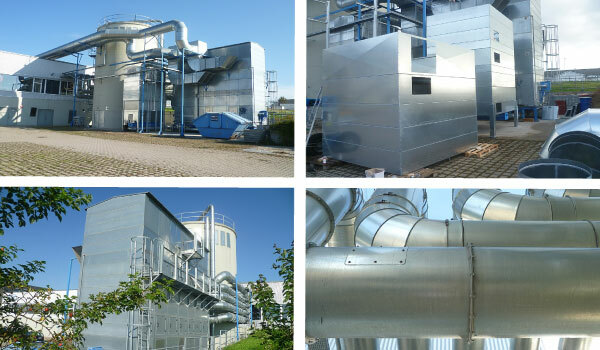 mütek customers, by using their own energy, are independent of the large energy suppliers and produce sustainable heat energy with a clear conscience. The shredding machine type MRZ is the ideal shredder for your wood residues. MRZ shredders are built with a slow-running profile full-steel rotor (Ø 260 or 360 mm). The starting raw material is pressed against the shredding rotor by means of a hydraulically operated moving floor. Depending on the desired granule size, sieves with hole sizes of 10 to 50 mm can be installed. If you want to shred the granules even more finely, we can also offer post-shredding machines with throughputs of up to approx. 2 tonnes per hour. 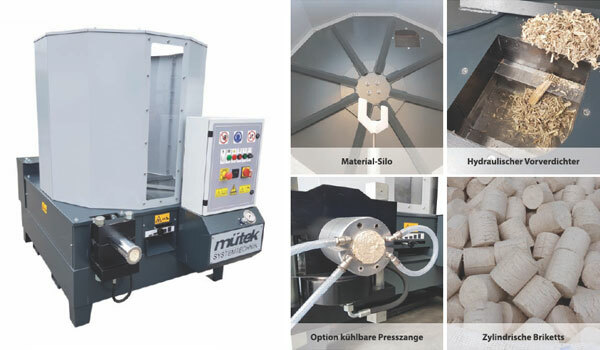 The high-quality mütek briquetting presses process materials such as wood shavings, sawdust, small wood chips as well as grinding dust and other residual materials to form stable briquettes. Compared to loose material, the initial volume is reduced by up to 50%. In the form of a briquette, residual materials can be used as a much more efficient source of energy or sold with a profit. Moreover, briquetting significantly reduces the risk of fire or explosion. Costs for complex fire protection measures do not apply, since briquettes - like solid wood - are considered to be flame-retardant. The core competence of mütek is the designing and assembly of suction and screening systems from 1,000 to 30,000 qbm of air per hour. 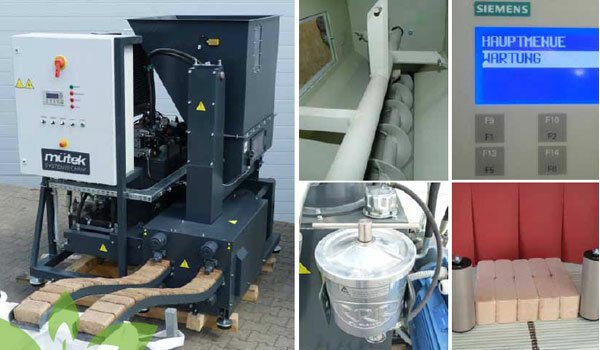 Depending on the customer's requirements, both mobile dust extractors for the interior installation of suction diameters 160 to 350 mm as well as large suction and screening systems for outdoor installation are included in the product portfolio.